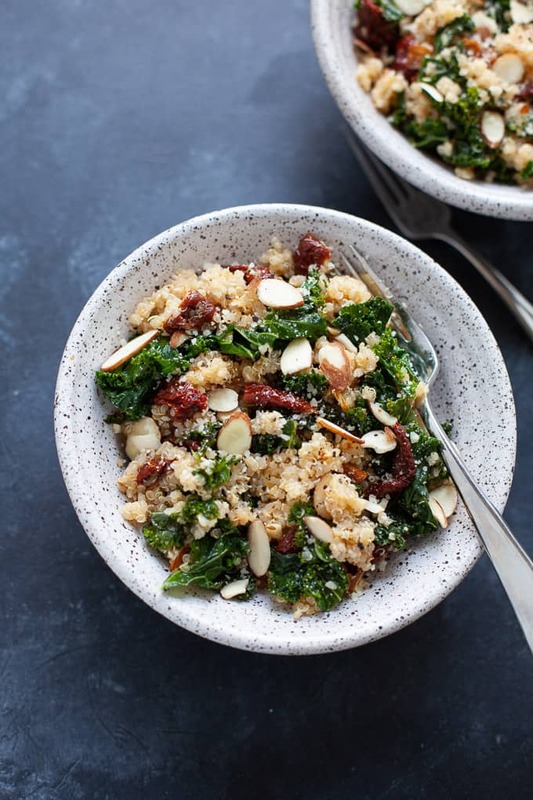 A 5 ingredient healthy kale and quinoa bowl that uses only five ingredients and takes less than 25 minutes to make. 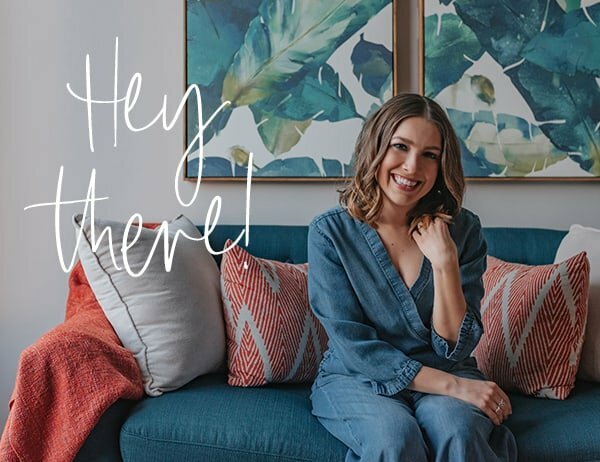 I’ve been working on republishing some of my favorite recipes that could use an update because let’s be real, my photography has changed just a little bit over the last few years. 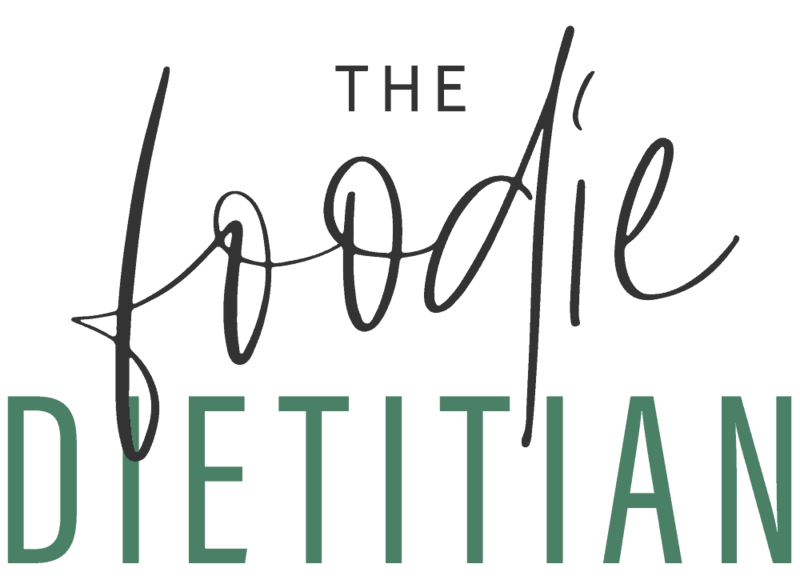 And it’s a fun way for me to re-test and improve existing recipes on my site. This is one of those recipes that often gets featured in quick-and-easy meal round-ups because, well, 5 ingredients. Who doesn’t love a 5-ingredient meal? We’re all so strapped for time today given the busy lives we lead that it can help to have a few go-to recipes that take less than 30 minutes to make. This is one of those recipes. 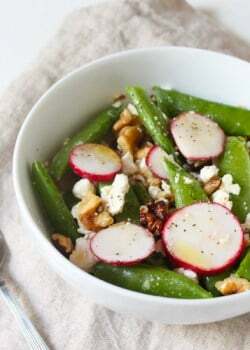 It’s a great recipe when you’re craving something light, yet flavorful. And although there’s not a whole lot to this recipe, it doesn’t compromise on flavor. I love the sun-dried tomatoes and parmesan cheese in here because it gives the dish a boost of umami flavor and a little Italian flair as well. 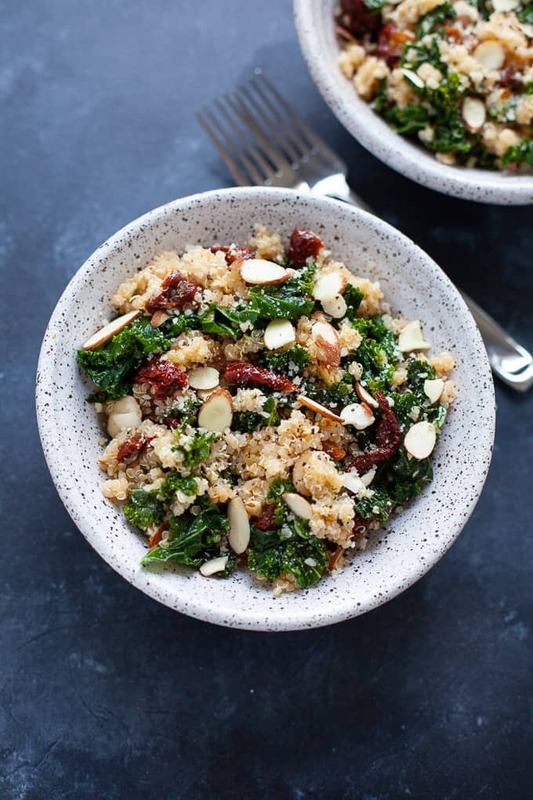 The quinoa is super fluffy and the slivered almonds give it a nice crunchy texture. So what are the 5 ingredients? And then of course there are a few optional toppings (like the almonds for crunch and parm cheese for umami flavor). But regardless of how many optional toppings you include, you can make it in less than 25 minutes. Score! Eat a big bowl on its own or pair it with a protein for a balanced, satisfying meal! This bowl is packed with nutrition too – protein, fiber, vitamins and minerals. 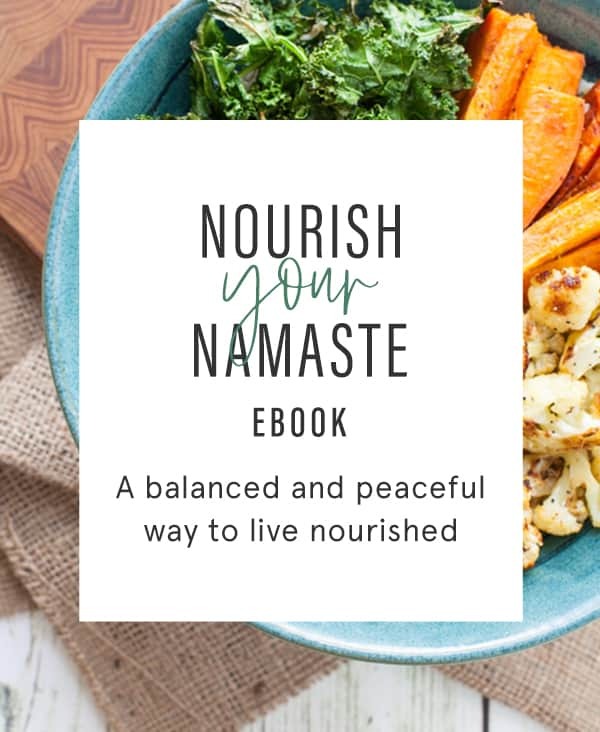 Plus, it’s vegan-friendly (if you forego the optional parm or add nutritional yeast instead) and gluten-free if you have dietary restrictions. In a large saute pan, heat 1 tablespoon olive oil over medium heat. Add kale and toss to coat. Add 1/4 cup water and cover, cooking for 3-5 minutes. Uncover, toss, and turn heat down to low. Let cook for another 10-15 minutes, until tender, stirring occasionally, adding more water if needed. Salt and pepper to taste. Add quinoa and sun-dried tomatoes to saucepan and toss to combine. Remove from heat. Add lemon juice and olive oil and toss to coat. Salt and pepper to taste. This recipe was retested, reshot and revamped to bring you the most delicious (and most beautiful) dish! The original post was published October 2016. Tell me, what’s your favorite 5-ingredient go-to meal? Super easy. Super good. Forgive me as I tweaked just a bit for my own tastes after my first cook…I added a finely chopped, medium white onion after the uncovering of the Kale. I then added about 3 heaped tablespoons of maple bacon bits and 2/3 cup golden raisins with the Quinoa. Worked for me. Thanks for the great starter recipe. This was not as good as I imagined it would be, I was left a bit disappointed. This one looks like so much fun. I’m a big fan of quinoa bowls and similar meals. There’s something about the style that is so appealing, especially as they’re fast and easy to prepare. This is a perfect lunch bowl and great way to use up leftovers! I am all about that bowl life! Quinoa is the perfect fit here with those flavors and textures. Saving this for later! Haha YES to the bowl life! Yum. I love a good quinoa bowl! Yum! This looks like a great lunch option I could eat again and again! Even as a dietitian, I sometimes lose my mojo for cooking. This would be a great pick-me-up recipe that is simple yet delicious! Oh for sure. We’re still human after all 🙂 Thanks, Jody! A bowl of straight-up goodness! All those textures and flavors just sound amazing! And you can’t beat 5 ingredients. How long do you think this’ll last in the fridge? Hey Cara – I’d say 3-4 days. This sounds so delicious! I love anything with sun-dried tomatoes – and just 5 ingredients?! Yes please! Sun dried tomatoes from a jar? Yep! Sun dried tomatoes from a jar or pouch work! 1 cup cooked quinoa? Or dry? Same question here. Anyone know? Sounds like my kind of meal! I love simple dinners like this. Just watched Cooked! 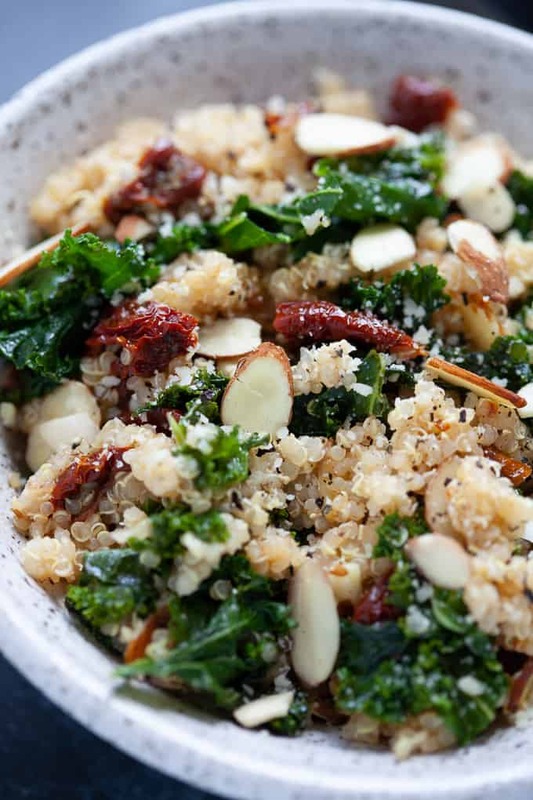 With the nutritional yeast and the sun dried tomatoes I bet this bowl is BURSTING with flavor. Sounds absolutely amazing! 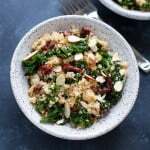 kale and sundried tomatoes together sounds amazing!!! Thanks, Dixya! They balance each other out nicely. It’s more than sad that we have lost our love for being in the kitchen, cooking, and the memories it makes as a society. But everyone can get cooking more! Dishes like these are perfect! Totally! Cooking does not have to be complicated! This bowl is full of all of my favorite goodies! Love the sun dried tomato addition! Thanks, Chelsea! 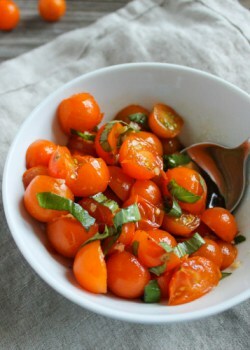 Love the sweetness the sun dried tomatoes add! Yum! 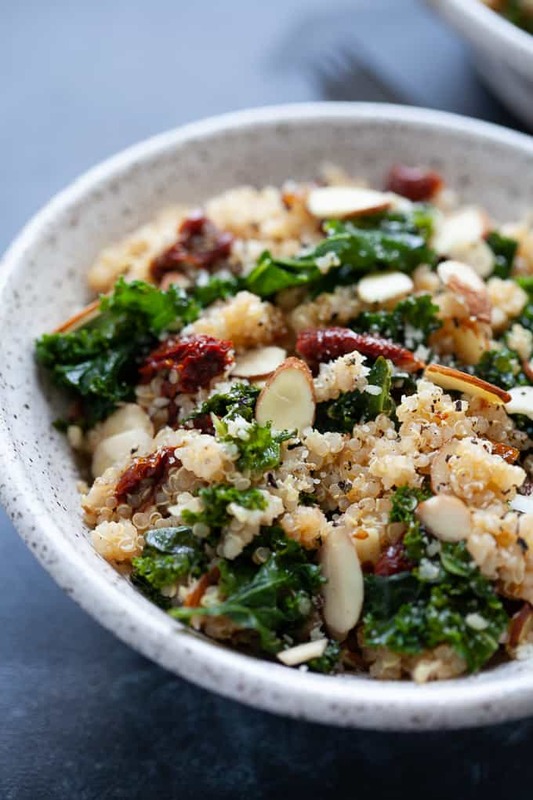 I love anything with kale and quinoa (So cliche for a healthy foodie!) so I’m definitely going to be making this!